Get the most out of your grocery shopping with this innovative shopper s guide and cookbook rolled into one. In "Eat Good Food," former chef Sam Mogannam, owner of San Francisco s popular Bi-Rite Market, guides you through the grocery store one department at a time, and explains how to identify incredible ingredients, decipher labels and terms, build a great pantry, and reconnect with the people and places that feed us. "Eat Good Food" gives you a new way to look at food, not only the ingredients you buy but also how to prepare them. 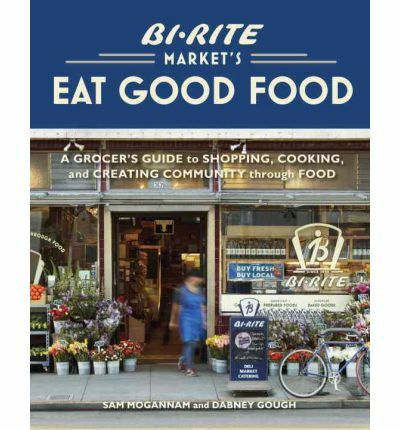 Featuring ninety recipes for the dishes that have made Bi-Rite Market s in-house kitchen a destination for food lovers, combined with Sam s favorite recipes, you ll discover exactly how to get the best flavor from each ingredient. Dishes such as Summer Corn and Tomato Salad, Spicy String Beans with Sesame Seeds, Roasted Beet Salad with Pickled Onions and Feta, Ginger-Lemongrass Chicken Skewers with Spicy Peanut Dipping Sauce, Apricot-Ginger Scones, and Chocolate Pots de Creme will delight throughout the year. No matter where you live or shop, Sam provides new insight on ingredients familiar as well unique, including: Why spinach from open bins is better than prepackaged greens What the material used to wrap cheese can tell you about the quality of the cheese itself How to tell where an olive oil is really from and why it matters What never ever programs are, and why you should look for them when buying meat With primers on cooking techniques and anecdotes that entertain, enlighten, and inspire, "Eat Good Food" will revolutionize the way you shop and eat."